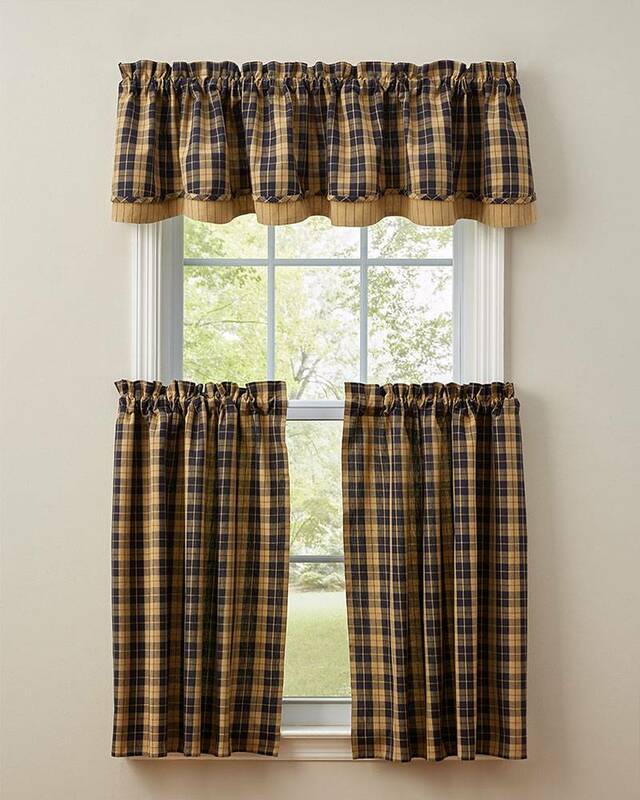 The Pittsfield Lined Layered Valance showcases a strikingly rich woven plaid of navy and khaki layered over a country pencil stripe on a khaki ground. Fully lined with cotton. Imported.